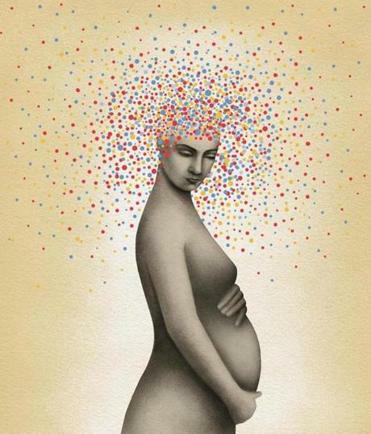 What does motherhood do to your brain? Health care writer Chelsea Conaboy was online to take questions and comments about her story on dramatic brain changes that take place as women become mothers. Read a transcript of the chat with Chelsea below. “In the weeks after my first son was born, I squandered hours of precious sleep leaning over his bassinet to check that he was still breathing, or Googling potential dangers that seemed to grow into monstrous reality by the blue light of my smartphone. “Before baby, I had managed a tendency toward low-level worry. Now, it was as if the volume had been turned up. Among the biggest worries I faced was worry itself. “The way I saw it, motherhood made me feel this way, and I would be a mother forevermore. Would I always be this anxious? And would my baby suffer for it? I feared that something deep within me — my disposition, my way of seeing the world, myself — had been altered. Read Conaboy’s full story in the Globe Magazine.